Summer is in full swing and things are heating up even more here at eClincher. Last month, we had some amazing feature releases based on our client’s input. For July-August, we haven’t slowed down. 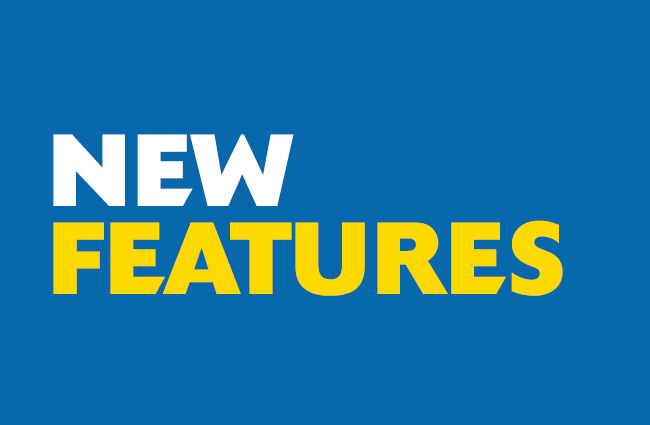 Here are the new features we have released in July-August as part of our continuous efforts making eClincher the best social media management tool on the market. That’s right…You can now view Instagram comments and engage right from your Social Inbox. No more switching to Instagram feeds in order to reply, comment, and engage. Our inbox will collect all your Instagram comments from one or more Instagram accounts. To make your life easier, the inbox is now displaying the original post along with the new comment. This way, you can quickly understand the comment context and respond accordingly. All comments, from all the social networks, will include the original post plus the comment. Finding new and relevant content is a huge time consuming task. We are thrilled to give you Content Curation Feeds. Simply select Content Curation Feeds from the Feeds menu, and start adding new feeds based on specific keywords. As you type in the keyword, eClincher will detect and suggest a category for you to select. Content from all over the web is instantly loaded to your feeds. Click “Share Post” to share articles with your audience. Huge performance improvement! eClincher helps you verify each link that is inserted into your messages. eClincher will go the link website, pull in images, title and description and will include these in your post. Another new feature is the addition of Twitter and Facebook hashtags and handles history. All recently used hashtags and handles will now be suggested to you as you start typing them in the compose message box. Our agency customers have been asking for a way to post the same content across multiple brands (this is also a great feature for franchises). Well, now they can with Multi Brand Groups (MBG). You can now create MBG group and include social media profiles, pages, and social groups from multiple brands. Simply go to Post Settings to create a new group. Start dragging profiles, pages and social groups to the new publishing group. Switch to other brands and continue to drag profiles, pages and social groups. Your new publishing group will automatically change to “MBG: group_name”. Now, all you have to do is publish your content to the new MBG group. We have added the ability to perform a quick search on Twitter and Facebook. The new search button is available from the top gray header line. You can search for people, subject, company name, or any keywords you can think of. Your search results will appear in a feed format. You can share, follow and engage directly on the search feed. We are excited to bring Facebook Boost to the eClincher platform. You can now boost any of your organic posts directly from your Facebook Page feeds. If you already have a Facebook Advertiser account, you are all set. Simply go to any post on your Facebook page feeds and click on the top-right menu to select “Boost Post”. Boosting your post, even for small amount, will dramatically increase your reach. The Boost feature allows to reach your followers and their followers or a targeted audience. If you are working with multiple Twitter profiles, you’ll now be able to choose a profile when replying to someone via the Inbox or Custom Search Feeds. For example, someone write a direct message to your company profile. You may want to reply back from your personal Twitter profile, to make your message more personal and engaging. To edit an image for your social media posts, it usually involves other image editor applications. To save you time, we integrated a built in image editor. Now, you are able to edit your images right from the eClincher compose a message box. Simply attached an image, then hover on the image and click “Edit” to open the image editor. momento nuestra empresa de traducciones.